A candle is a brief flare of light. A wick dipped in oil burns and then goes out again. The light of Chanukah appears to follow the same narrative. Briefly there is light and warmth and then darkness again. Out of the exile of Babylon, the handful that returned to resettle and rebuild the land faced the might of new empires. The Jews who returned from the exile of one evil empire some twenty-six hundred years ago were forced to decide whether they would be a people with their own faith and history, or the colony of another empire, with its history and beliefs. Jerusalem's wealthy elites threw in their lot with the empire and its ways. But out in the rural heartland where the old ways where still kept, a spark flared to life. Modi'in. Maccabee. And so war came between the handfuls of Jewish Maccabee partisans and the armies of Antiochus IV’s Selecuid empire. A war that had its echoes in the past and would have it again in the future as lightly armed and untrained armies of Jewish soldiers would go on to fight in those same hills and valleys against the Romans and eventually the armies of six Arab nations. The Syrian Greek armies were among the best of their day. The Maccabees were living in the backwaters of Israel, a nation that had not been independently ruled since the armies of Babylon had flooded across the land, destroying everything in their path. In the wilderness of Judea a band of brothers vowed that they would bow to no man and let no foreigners rule over their land. Apollonius brought his Samaritan forces against the brothers, and Judah, first among the Macabees, killed him, took his sword and wore it for his own. Seron, General of the army of Coele-Syria, brought together his soldiers, along with renegade Jewish mercenaries, and was broken at Beit Haran. The Governor of Syria who dispatched two generals, Nicanor, and Gorgias, with forty thousand soldiers and seven thousand horsemen to conquer Judea, destroy Jerusalem and abolish the whole Jewish nation forever. So certain were they of victory that they brought with them merchant caravans to fill with the Hebrew slaves of a destroyed nation. Judah walked among his brothers and fellow rebels and spoke to them of the thing for which they fought; “O my fellow soldiers, no other time remains more opportune than the present for courage and contempt of dangers; for if you now fight manfully, you may recover your liberty, which, as it is a thing of itself agreeable to all men, so it proves to be to us much more desirable, by its affording us the liberty of worshiping God. "Since therefore you are in such circumstances at present, you must either recover that liberty, and so regain a happy and blessed way of living, which is that according to our laws, and the customs of our country, or to submit to the most opprobrious sufferings; nor will any seed of your nation remain if you be beat in this battle. Fight therefore manfully; and suppose that you must die, though you do not fight; but believe, that besides such glorious rewards as those of the liberty of your country, of your laws, of your religion, you shall then obtain everlasting glory. "Prepare yourselves, therefore, and put yourselves into such an agreeable posture, that you may be ready to fight with the enemy as soon as it is day tomorrow morning." Though the Macabees were but three thousand, starving and dressed in bare rags, the God for whom they fought and their native wits and courage, gave them victory over thousands and tens of thousands. Worn from battle, the Macabees did not flee back into their Judean wilderness, instead they went on to Jerusalem and its Temple, to reclaim their land and their God, only to find the Temple and the capital in ruins. 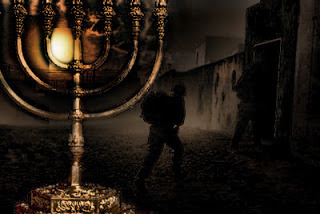 The Macabees had fought courageously for the freedom to worship God once again as their fathers had, but courage alone could not make the Menorah burn and thus renew the Temple service again. Yet it had not been mere berserker’s courage that had brought them this far. Like their ancestors before them who had leaped into furnaces and the raging sea, they had dared the impossible on faith. Faith in a God who watched over his nation and intervened in the affairs of men. And so on faith they poured the oil of that single flask in the Menorah, oil that could only last for a single day. And then having done all they could, the priests and sons of priests who had fought through entire armies to reach this place, accepted that they had done all they could and left the remainder in the hands of the Almighty. If they had won by the strength of their hands alone, then the lamps would burn for a day and then flicker out. But if it had been more than mere force of arms that had brought them here, if it had been more than mere happenstance that a small band of ragged and starving rebels had shattered the armies of an empire, then the flames of the Menorah would burn on. The sun rose and set again. The day came to its end and the men watched the lights of the Menorah to see if they would burn or die out. And if the flame in their hearts could have kindled the lamps, they would have burst into bright flame then and there. Darkness fell that night and still the lamps burned on. 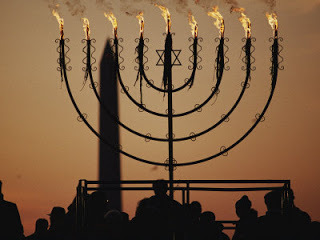 For eight days and nights the Menorah burned on that single lonely pure flask of oil, until more could be found, and the men who for a time had been soldiers and had once again become priests, saw that while it may be men who kindle lamps and hearts, it is the Almighty who provides them with the fuel of the spirit through which they burn. 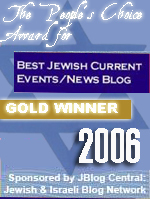 120 years after the Maccabees drove out the foreign invaders and their collaborators, another foreign invader, Herod, the son of a Roman Idumean governor, was placed on the throne by the Roman Empire, disposing of the last of the Maccabean kings and ending the brief revival of the Jewish kingdom. The revived kingdom had been a plaything in the game of empires. 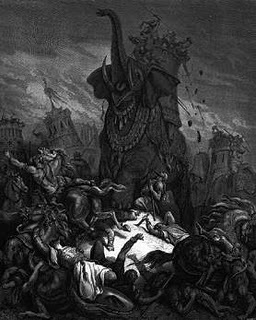 Exiled by Babylon, restored by Persia, conquered by the Greeks, ground under the heel of the remnants of Alexander's empire, briefly liberated by the Parthians, tricked into servitude and destroyed by Rome. The victory of the Maccabean brothers in reclaiming Jerusalem was a brief flare of light in the dark centuries and even that light was shadowed by the growing darkness. The fall of the Roman Republic and the civil wars of the new empire, its uncontrollable spending and greed made it hopelessly corrupt. Caesar repaid Jewish loyalty by rewarding the Idumean murderers of Jewish kings, and his successors saw the Jewish state as a way to bring in some quick money. Out went the Jewish kings, in came the son of Rome's tax collector, Herod. The promises made by Senate to the Maccabees ceased to matter. Imperial greed collided with Jewish nationalism in a war that for a brief shining moment seemed as if it might end in another Chanukah, but ended instead in massacre and atrocity. The exiles went forth once again, some on foot and some in slave ships. Jerusalem was renamed and resettled. The long night had begun. But no darkness lasts forever. Two thousand years after the Jews had come to believe that wars were for other people and miracles meant escaping alive, Jewish armies stood and held the line against an empire and the would be empires of the region. And now the flame still burns, though it is flickering. Sixty-five years is a long time for oil to burn, especially when the black oil next door seems so much more useful to the empires and republics across the sea. And the children of many of those who first lit the flame no longer see the point in that hoary old light. But that old light is still the light of possibilities. It burns to remind us of the extraordinary things that our ancestors did and of the extraordinary assistance that they received. We cannot always expect oil to burn for eight days, just as we cannot always expect the bullet to miss or the rocket to fall short. And yet even in those moments of darkness the reminder of the flame is with us for no darkness lasts forever and no exile, whether of the body of the spirit, endures. Sooner or later the spark flares to life again and the oil burns again. Sooner or later the light returns. It is the miracle that we commemorate because it is a reminder of possibilities. Each time we light a candle or dip a wick in oil, we release a flare of light from the darkness comes to remind us of what was, is and can still be. From what I understand the Roman Republic was allied w/Israel against the Seleucids on at least two occasions. It's disgusting the Samaritans collaborated w/the Seleucids against the Jewish people. Maybe they were still mad about Ezra the scribe's declaration against them? What good did all the effort do? Light on earth is indeed fragile. That is why G-D instructs us to guard the light of Truth, Love and Life (guarding, cherishing, and emulating these His Character traits) and of Faith, Peace and Freedom, Forgiveness, Hope, Patience, Kindness, etc. in our hearts and in our society. Dear Mr. Greenfield, these posts on religion and Judaism would make a wonderful collection for a book. 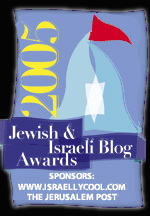 No power on earth will ever be able to extinguish the light that is reborn Israel. Israel's light will shine forever. You are so right Mari! I don't think it was so much incompetence as it was the sheer numbers of greedy-know-nothing migrants that caused the Western Roman Empire to collapse. We are currently seeing history repeat itself again. Strange times. Thank you for another beautiful article. Brought tears to my eyes.